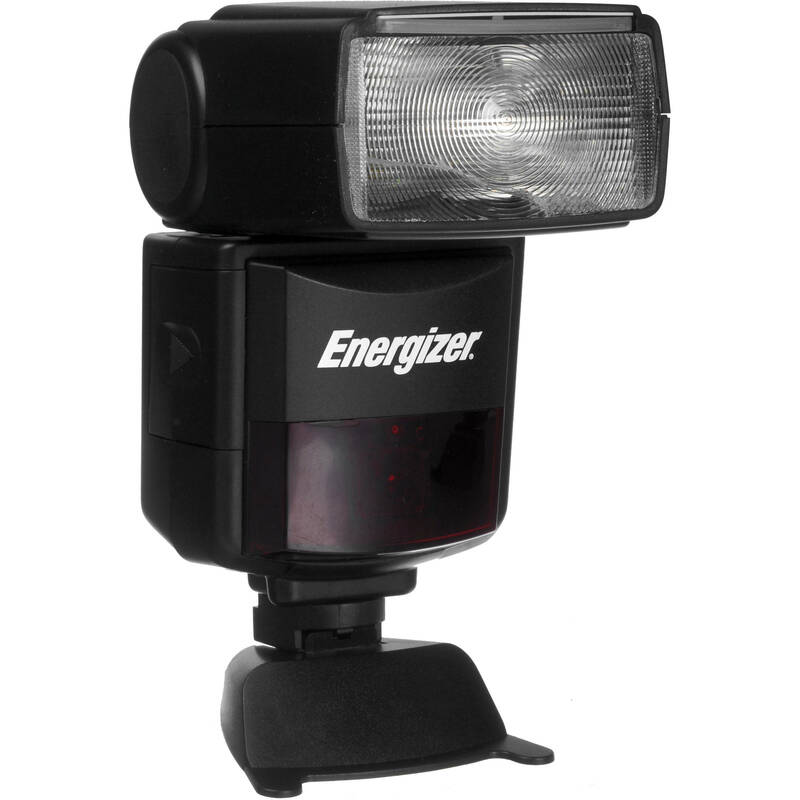 The Energizer ENF-600S Digital TTL Flash is an automatic shoe-mounted flash unit compatible with Sony/Minolta cameras with ADI / P-TTL functionality. With a guide number of 148' at ISO 100 and 105mm this unit is quite powerful and will easily illuminate your scene. It features a zoom range from 24 to 105mm along with the ability to tilt up to 90° and swivel 270°. Additionally, the flash head includes a built-in diffuser for softening and customizing the light to your needs. During shooting, the ENF-600S has multiple creative modes for achieving specific effects. These include front and rear curtain sync modes along with a red-eye reduction mode. This can all be accessed with the rear LCD screen. Wireless master and slave TTL functionality is available for control over multiple off camera flashes from the camera-mounted unit. Box Dimensions (LxWxH) 8.5 x 5.1 x 2.8"
I have a SONY A58 digital camera. Does this flash fit for it? You would need to use an adapter such as the Sony Multi-Interface Shoe Adapter in order to mount the Energizer ENF-600S Digital TTL Flash for Sony/Minolta Cameras on the Sony A58.